A beautifully illustrated children's story about a clumsy goose learning to fly. Captain Goose Glider’s team are cold. In fact they are honk-a-doodily freezing! With young, playful Bob in tow, will they ever reach their destination safely or will it end with a goose bump, bumpity, bump? Born in Tonypandy, South Wales, Kathryn moved to Devon at an early age and has spent the majority of her life living between the county’s rugged south coast and Dartmoor. Having studied Illustration at college, she spent the next 12 years supporting adults with learning disabilities. Following the birth of her son Finn, she was a full time mum until he started school. 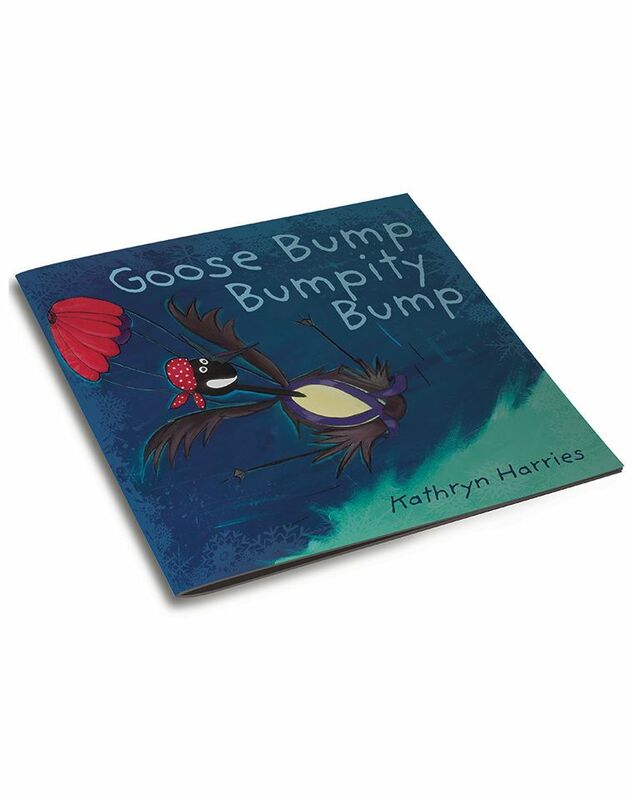 Kathryn has spent the last five years working as a pre-school practitioner, a job which has enabled her to further develop her passion for writing and illustrating children’s picture story books. She now lives near Modbury, South Devon with her nomadic husband and aspiring taekwondo black belt son. Download a copy of Kathryn's Advance Information sheet here.